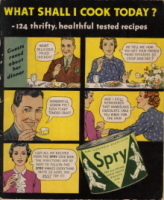 This vintage recipe cookbook was published by Spry Vegetable Shortening. There's no copyright date listed but there is a Good Housekeeping Bureau seal dated 1935 on the back cover, so I believe this is the date the cookbook was released. Plenty of recipes for deep frying, cakes, cookies, desserts and other yummy things. To view a section of the cookbook, just click one of the title links below and you'll be able to browse through a complete re-typed format as well as images of all the pages. The cookbook is 48 pages but I formatted everything per section (so all cake recipes would be on one page, etc.). 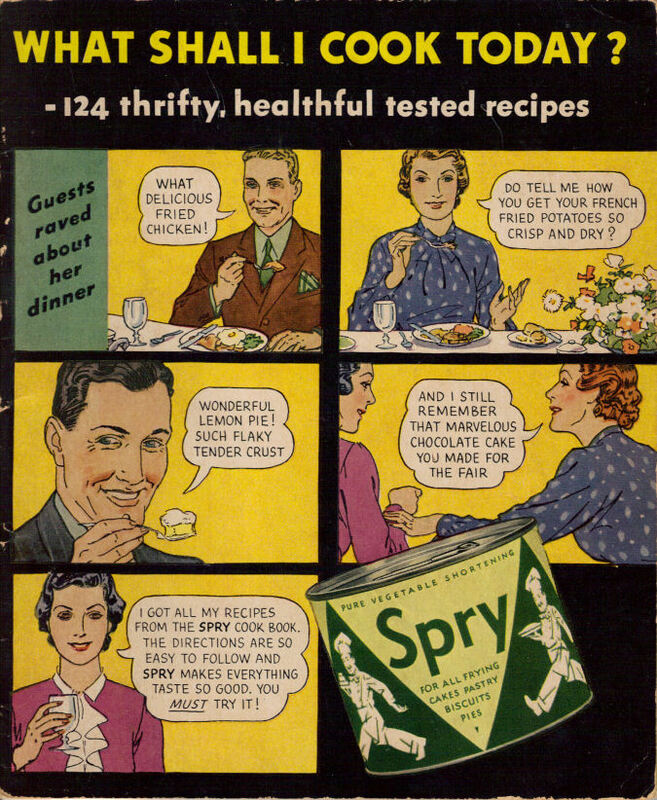 Published Aug 02, 2008 in Spry: What Shall I Cook Today? Published Aug 03, 2008 in Spry: What Shall I Cook Today?